Last Thursday the plenary of the UN General Assembly unanimously adopted the revised UN Standard Minimum Rules for the Treatment of Prisoners – to be known as the ‘Nelson Mandela Rules’. ‘PRI is delighted at the successful outcome of this four-year review process. The updating of this key set of widely used standards, last Thursday, is a significant milestone for the advancement of prison conditions and treatment of prisoners worldwide’, stated PRI’s Executive Director, Alison Hannah. 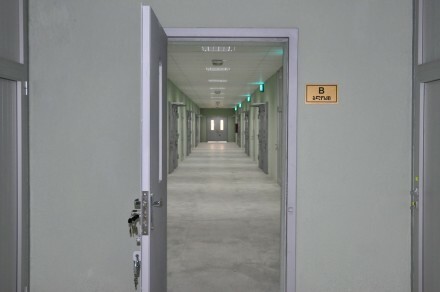 Since their adoption in 1955, the Standard Minimum Rules for the Treatment of Prisoners have been regarded by states as the primary – if not only – source of standards relating to treatment in detention, and are the key framework used by monitoring and inspection mechanisms in assessing the treatment of prisoners. However, unsurprisingly after six decades they had become increasingly out-of-date, superseded by newer human rights and criminal justice standards and developing best practice and understanding in correctional science. In 2010, a UN General Assembly resolution mandated an Inter-governmental Expert Group to revise the Rules. Member states agreed on the process and revisions, and UN bodies, intergovernmental organisations, civil society and academics participated in the process. The Expert Group first met in 2011 and decided on a so-called ‘targeted revision’ which would update the most outdated standards. While many of the original Standard Minimum Rules remain in place, the revised Rules contain substantive and significant new guidance for prison management on eight thematic areas, including healthcare in prisons, investigations of deaths in custody, disciplinary measures, professionalisation of prison staff, and independent inspections. In particular, the revised Rules introduce for the first time in international standards a limitation on the use of solitary confinement and provide guidance on the use of searches, notably strict regulation of intrusive searches of prisoners. ‘The revision is in the interest of both prisoners and prison administrations. Modern notions of prison management have been recognised and prison administrations can now go to one reliable and authoritative source for information and guidance on good prison management’, Ms Hannah emphasised. Given that the last stage of negotiations was hosted by the government of South Africa in Cape Town, it was decided that these revised prison standards would be known as the ‘Nelson Mandela Rules’ in order to honour the legacy of the late South African President, in prison himself for 27 years and a committed advocate for the rights of prisoners. International justice organisation, Penal Reform International, engaged intensively in the process from its outset in 2010, attending all Expert Group meetings, advocating on the targeted revision, the areas for review and the revised wording of the Rules, as well as organising briefings and expert meetings and coordinating the NGO core group. This group included the American Civil Liberties Union, Amnesty International, Centro de Estudios Legales y Sociales (Argentina), Conectas Direitos Humanos (Brazil), Centro Regional de Derechos Humanos y Justicia de Género (Chile), the International Commission of Catholic Prison Pastoral Care (Brazil), and the Friends World Committee for Consultation (the Quakers). Andrea Huber, Policy Director, Penal Reform International, Email ahuber@penalreform.org, Phone +44 (0)20 7247 6515, Mobile +44 (0)7500 039471. Our new two-minute animation introducing the UN revised Standard Minimum Rules for the Treatment of Prisoners – the Nelson Mandela Rules: what they include, and what they mean for prison management. Find out more about the revision process. A Short Guide to the Nelson Mandela Rules covering in brief both the new and original Rules will be available on PRI’s website in January.